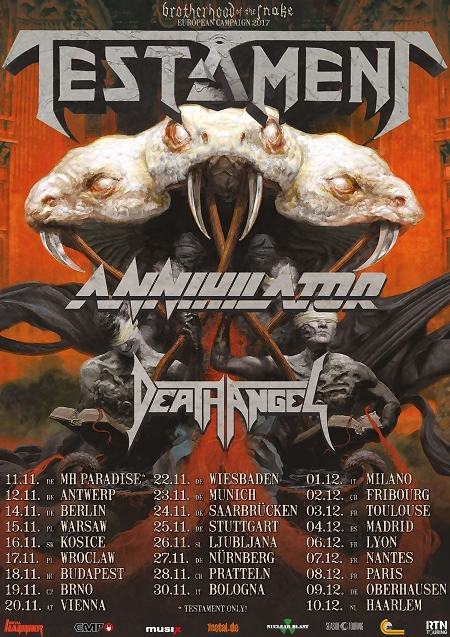 Amon Amarth Announce Testament and Grand Magus as Guests on the Remaining Dates of the European “Jomsviking” Tour! 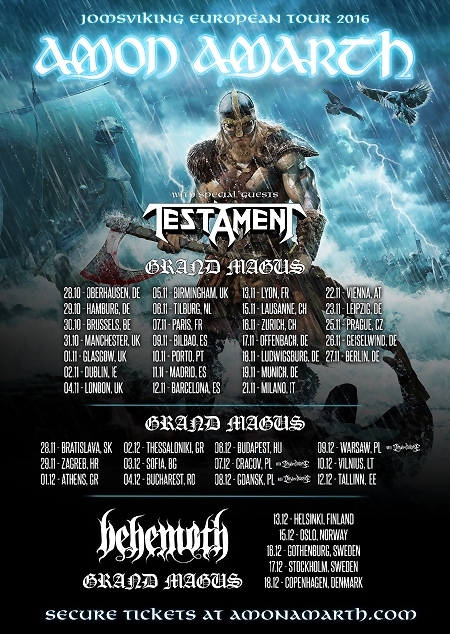 Swedish heavy metal Vikings AMON AMARTH have announced legendary Bay Area thrash titans TESTAMENT as Special Guest of the massive European Jomsviking tour in Germany, France and Italy. 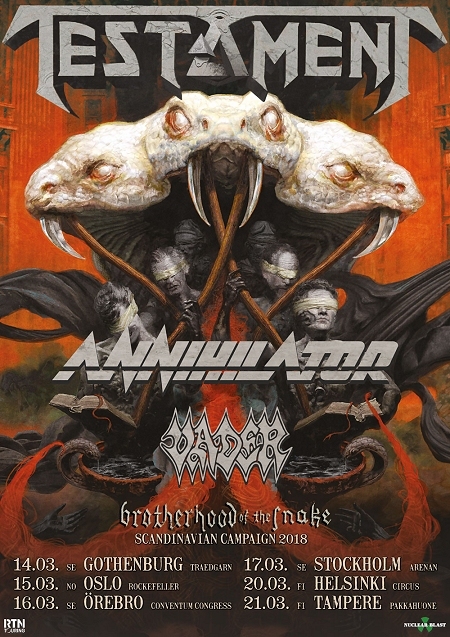 Also joining Amon Amarth as support is Sweden’s epic GRAND MAGUS. Germany-based death metallers DAWN OF DISEASE will be the opening act in Poland. The biggest tour of AMON AMARTH’s career comes on the heels of the victorious worldwide release of the band’s 10th studio album titled Jomsviking (Columbia Records/Sony Music/Metal Blade Records). Jomsviking smashed sales charts around the world including charting a triumphant #1 in Germany, #1 in Austria and #3 in Switzerland! 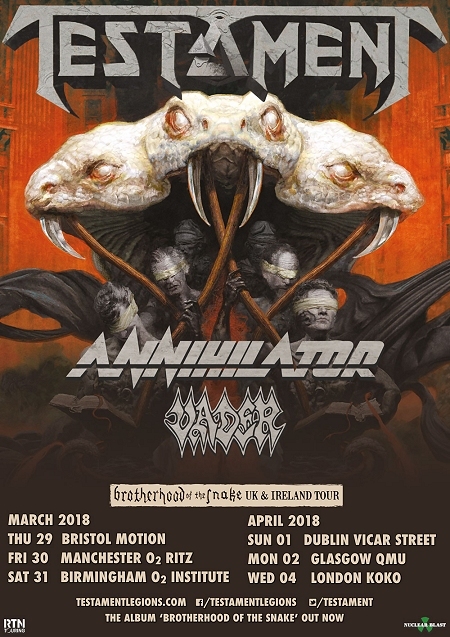 Comments AMON AMARTH, “Europe, after three years away we are returning to your lands and are bringing with us our biggest headline show ever. Sharpen your weapons, fortify your embankments & hide your loved ones! We are bringing our berserker party to a town near you and we hope to see you there so you can “Raise Your Horns” together with us to glory! 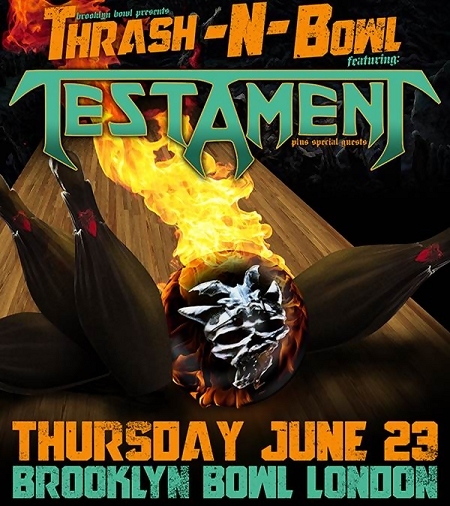 Testament in the U.K. 2016!